Melckmeyt (Milkmaid) was a Dutch merchant ship that wrecked by Flatey Island in the 17th century. Two divers rediscovered the wreck in 1992 and the following year an underwater archaeological survey was carried out by the National Museum of Iceland. In 2016, a team of marine archaeologists led by Kevin Martin (PhD Candidate) returned to the wreck site to expand on the 1993 survey area. 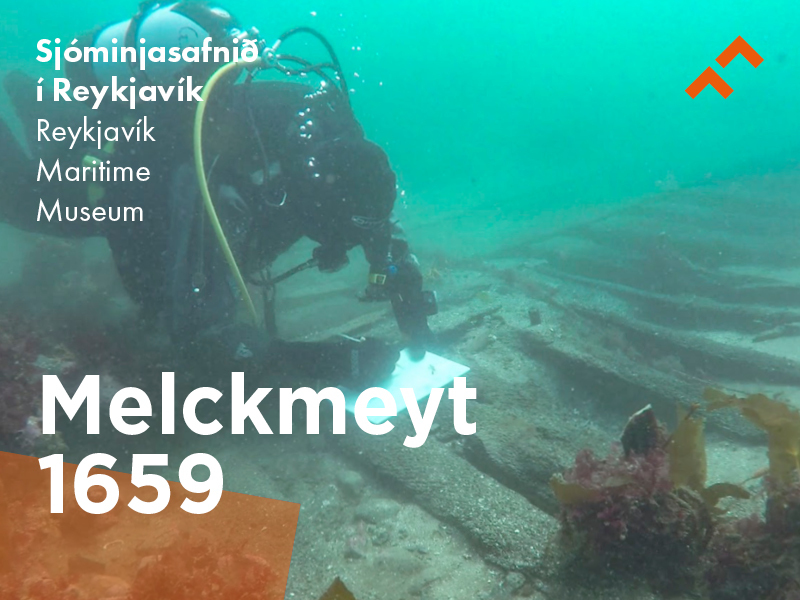 Melckmeyt is important as it is the oldest known and identified shipwreck in Icelandic waters and also the only shipwreck from the Danish trade monopoly period uncovered. The study of its remains offers a great opportunity to add to our knowledge of the nautical archaeology of this period.